Almost a century has elapsed since November 11, 1918, the original Armistice Day. As Bertrand Russell advised: “In all affairs it’s a healthy thing now and then to hang a question mark on the things you have long taken for granted.” How could President Wilson make the world safe for democracy when at home he was fighting the suffragettes, re-segregating the federal government, using the Espionage Act to imprison thousands of war opponents, flooding the country with fake news through the Committee on Public Information and suggesting naturalized citizens had “poured the poison of disloyalty into the very arteries of our national life” and therefore needed to “be crushed”? Republic Undone is John Henry's third play exploring the struggle between the Constitution's separation of powers and the exclusive entrustment of the war power to Congress, and limitless executive power and perpetual presidential wars. Henry dramatizes the galaxy of personalities and forces that occasioned America’s participation in the Great War and led to its world-shaping sequel, World War II. The play features a pageant of remarkable women. 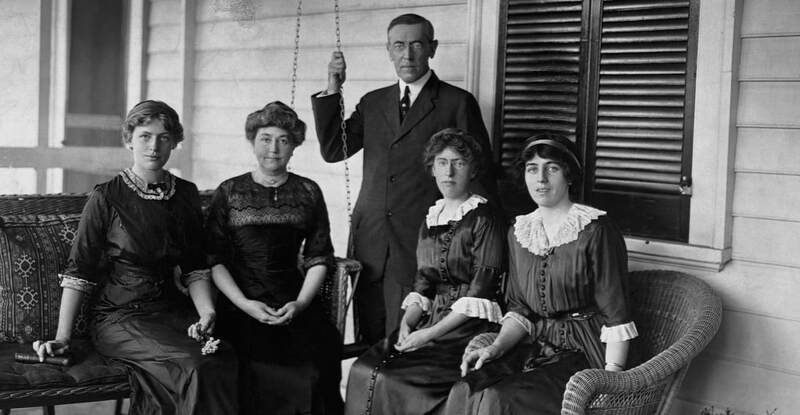 Wilson’s wife of 29 years, Ellen Axson, is the wise heroine. She is instrumental in her husband’s elevation to President of Princeton, Governor of New Jersey, and President of the United States. He has an affair with Mary Peck and loses Ellen’s calming influence when she dies at the outbreak of the war. His second wife, Edith Galt, reinforces his inclination to see the world in the Old Testament primary colors of “good guys” and "bad guys". Henry’s play challenges orthodox narratives. 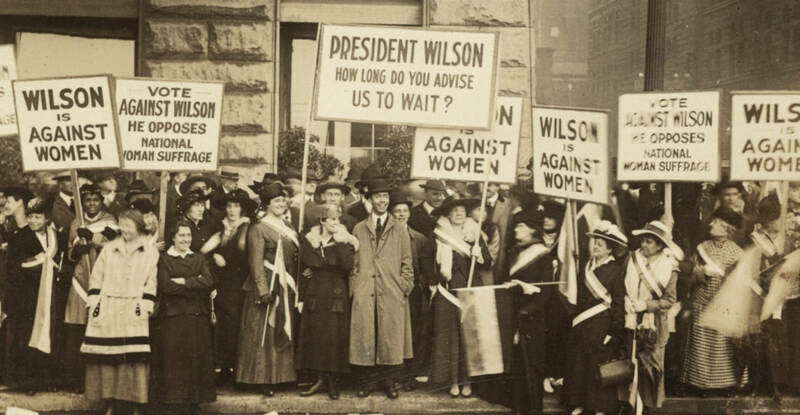 When the war broke out, Wilson proclaimed American neutrality while not so secretly favoring the Allies. 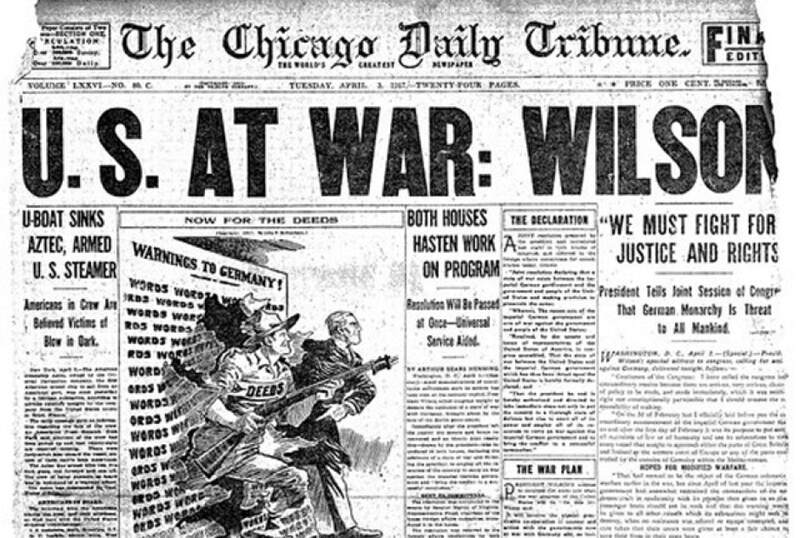 In so doing, Wilson made the United States a co-belligerent with Britain and France for more than two years before Congress declared war on April 6, 1917. World War I was never a defensive war for the United States. Indeed, Wilson claimed his motives were altruistic. The war to end all wars culminated in the Versailles Treaty. Wilson’s Fourteen Points – the inducement for the Armistice – proved nothing more than a scrap of paper. Reparations were punitive. Germany was dismantled and Germans were denied self determination. The die was cast for the rise of Hitler and World War II. Wilson created the intellectual framework that furthered William McKinley’s and Teddy Roosevelt’s global projection of American military power and set extra-constitutional precedents for fighting wars without congressional declarations. It is no accident that Wilson had enthusiastically supported the Spanish American War and conquest of the Philippines. “Republic Undone” will be performed by citizen actors. The play is directed by Rick Davis, Professor and Dean of the College of Visual and Performing Arts at George Mason University. An enthusiast for citizen theater, Davis has worked with the Stone Hill Theatrical Foundation for five years. The citizen playwright, citizen actors, and citizen director celebrate the tradition of ancient Greece when theater was invented to address issues of the day.